-The Bookshop – Goya Awards winner: Best Film, Director, & Adapted Screenplay! -Le Brio – Cesar Awards winner: Most Promising Actress! -Sicario: Day Of The Soldado – From the Oscar nominated & Cannes award winning writer of the original Sicario! -Eighth Grade – Sundance London: Audience Favourite Award winner! Held Over for a 2nd Week! -Three Identical Strangers – Sundance: Special Jury Prize award winner! Held Over for a single screening 7th Week! 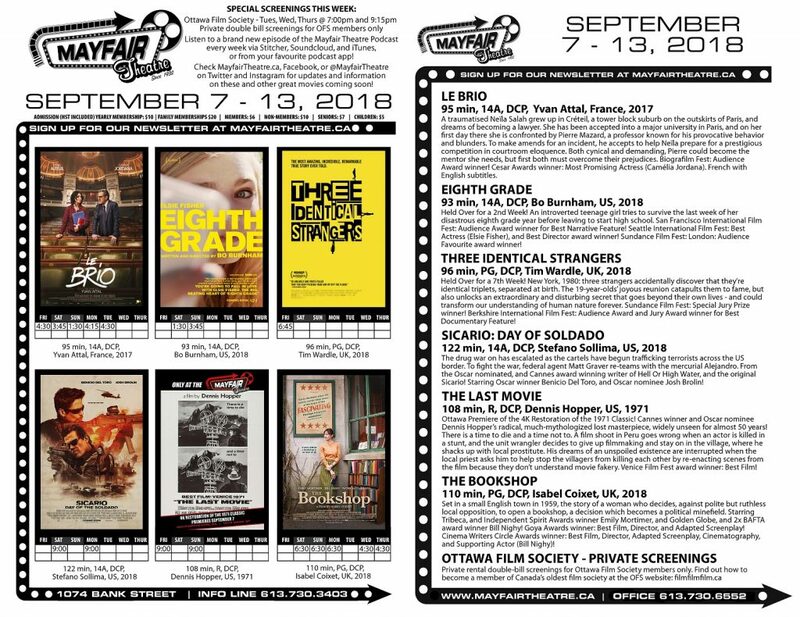 -The Last Movie – Ottawa Premiere of the 4k Restoration of the rarely seen 1971 classic! Venice Film Fest: Best Film award winner!